I am super excited for this post! First, because I finally have a working computer and access to all my photos (which means I can blog again) and secondly because today is MACARON DAY. Last year, I blogged about these beautiful Pierre Herme Ispahan Macarons. 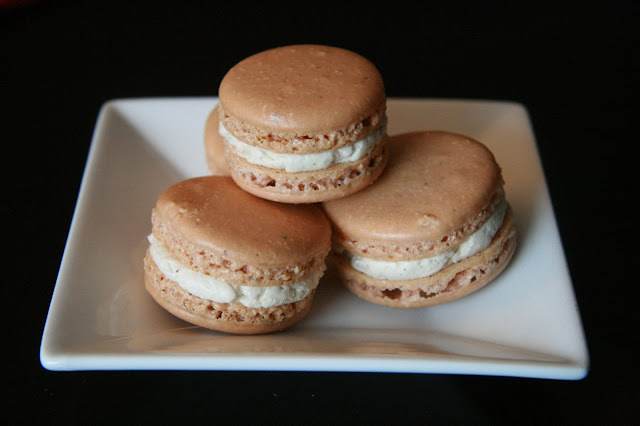 This year, to celebrate Macaron Day 2013 I'd like to share some gorgeous and super tasty Chai Macarons. My friend Michelle over at The Tiffin Box made a delectable Chai Ice cream over the summer. 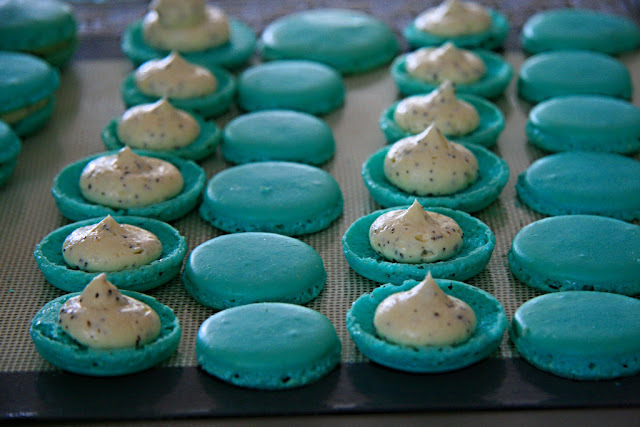 It was so good, that I wondered if I could infuse the same flavours into a macaron. So, I set about grinding up several pouches of her chai spice mix (with my magic bullet) and infused it into the shells and the butter cream filling. *I use a Magic Bullet to chop up all of these spices. Your kitchen will smell amazing! In order to get a deeper brown for the shell colours; add in 2 drops of brown gel food colouring (I used Wilton Brown) . If you want a darker colour add more now as the colour will lighten in the oven. Increase speed on Kitchen Aid to 4. 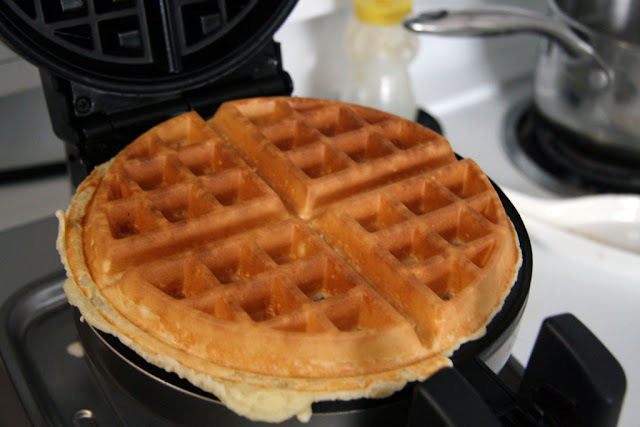 Beat egg whites until "soft peaks" form (stop, and tilt head back, look to see if egg whites form a small bird's beak). You don't want them too stiff. Sift Almond Meal/Powdered sugar/chai spice mix through a fine mesh. Slowly add to egg whites using Chef Nini's method (described in my lemon macaron post). Mixing in clockwise rotation seems best. The process that she describes is slowly adding your almond mixture into the egg whites in a clockwise direction. She also split her almond mixture into 6 parts; with each section taking about 11 turns. Here's what I did: 1st part= 16 turns, 2nd part = 11 turns, 3rd part = 14 turns, 4th part = 11 turns, 5th part = 11 turns, and 6th part = 23 turns. Take a look at the video for a more detailed visual. Put one tray in the oven and bake for 8 minutes, then rotate tray (by now the feet should have formed!). Bake for another 11 minutes. Peel from mat, and get ready to fill with chai buttercream! Heat the sugar to 250F(120C), when it boils clean the sides of the pan with a damp pastry brush. In another bowl or the bowl of your KA whisk the eggs and egg yolks until it lightens in colour. Once the hot sugar mixture hits 250F (using a digital thermometer/meat thermometer will do the trick nicely), pour into the egg mixture. You may find turning down the whisking speed will help prevent flying hot sugar threads everywhere. 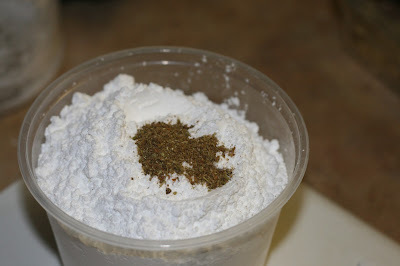 However, it is imperative to pour the hot sugar mixture in quickly and then start whisking immediately. Continue whisking until it has cooled down completely. Meanwhile, cream then whisk the butter until it has thickened. Once the egg mixture has cooled, add the butter. Continue whisking until the butter cream is smooth. Add the chai spice and whisk until smooth. 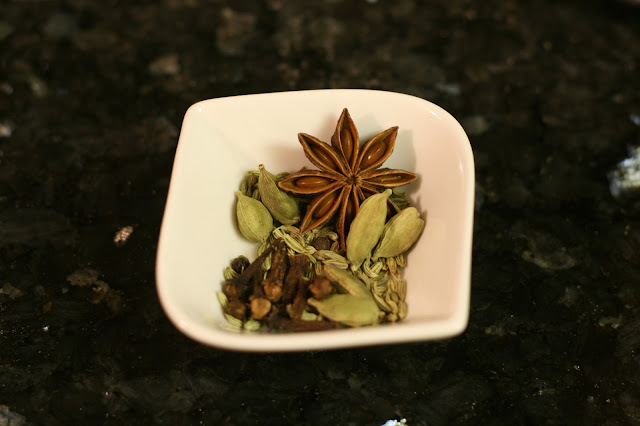 You can add as little or as much chai spice as you want for varying flavour intensities. Immediately transfer butter cream into a piping bag fitted with a nozzle and pipe away! Pipe a mound of butter cream onto each half shell. 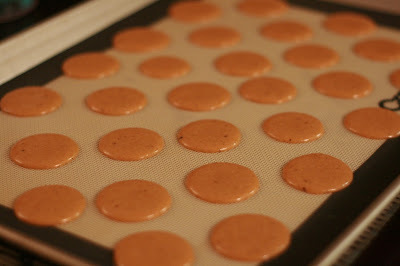 Top with the remaining shell to make the macaron. 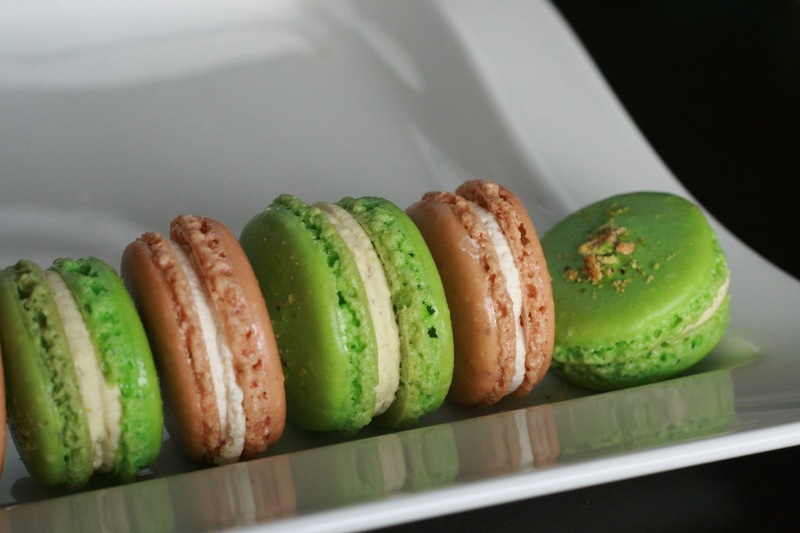 Macarons must be stored for at least 2 days in the fridge to reach its optimal flavour and texture. Take out of the fridge two hours before eating. Macarons can also be frozen in the freezer. To eat, defrost in a covered container for 2-3 hours in room temperature before eating. 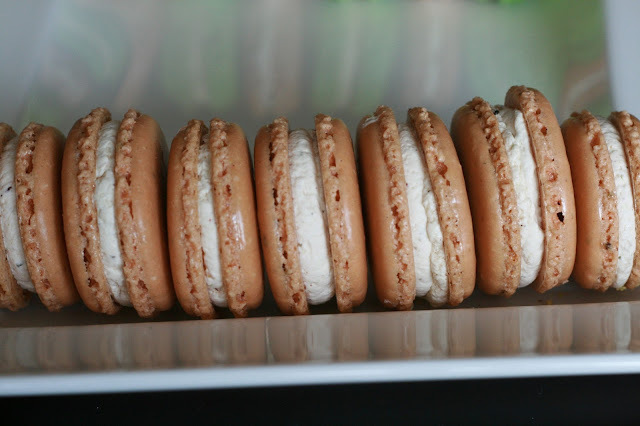 These macarons taste AMAZING, it captures the essence of the hand made chai ice cream into the macaron. 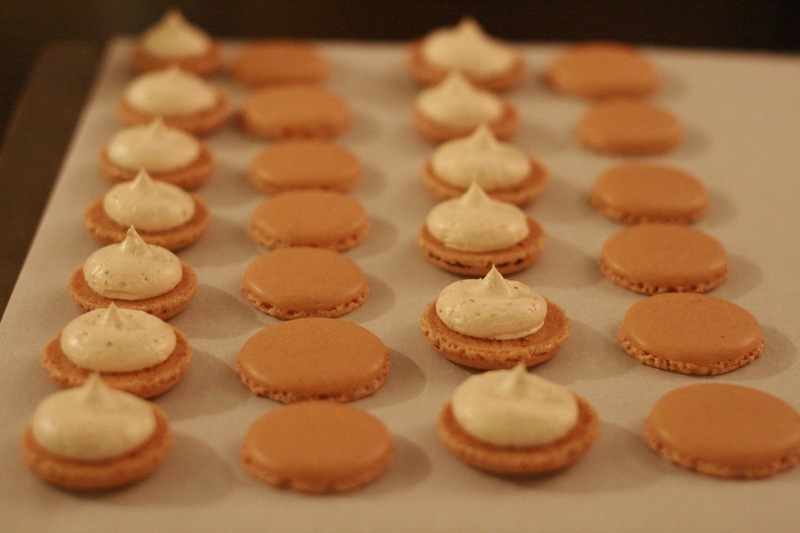 The shells themselves have a great flavour and aroma of chai and the chai buttercream is a perfect complement. So there you have it! Hope you all have a fabulous Macaron Day 2013! Come back soon for my post on the Pistachio Macaron! !